The design I got is 24K Gold plated, on a 14 inch chain. You can buy it here for $48.95. It actually looks like it is made with solid gold, so it is a perfect option for those who want a good quality piece, without the high price tag of a solid gold name necklace. Perfect. You can choose between different necklace lengths, various fonts and obviously... personalise it with your own name - or any name you want. It is a timeless piece and it would make a lovely gift. 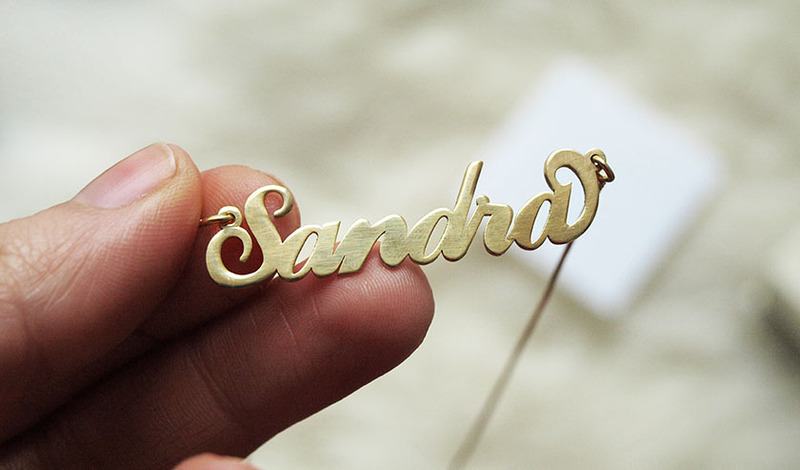 Do you own a name necklace? Products are delivered from Israel, mine took a week to arrive.